Without easy access to water, everyday life can be challenging – both for your business and household. Don’t get caught in this situation; make an investment in your future. At Granite Drilling, we believe that making the decision to drill a water well is a long-term investment, not a quick fix. Therefore, we make sure that we get the job right the first time. Water well drilling doesn’t have to be complicated. In business since 1972, we pride ourselves in being your trusted, water well drilling partner; guiding you through the entire drilling process, permit process, well site location, and geological assessment. 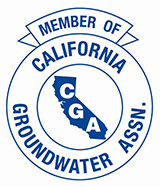 We are licensed (#279262) and bonded to perform water well construction in CA, and we are professional members of the CA groundwater and National Groundwater Associations. You can count on us for superior work and dedicated service. We look forward to working with you – mike@granitedrilling.com or 831-751-6300.